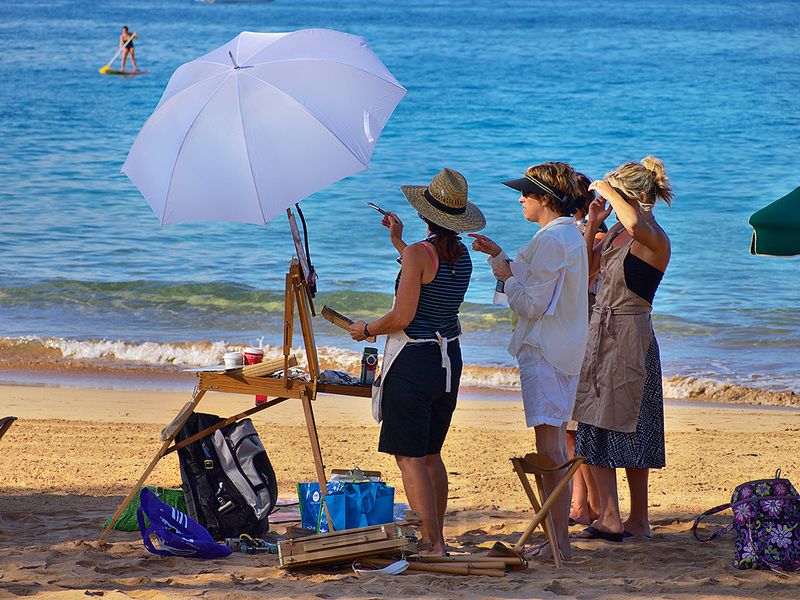 When the big resorts host conventions, they often provide spouse activities while the members are attending seminars. This morning there was yoga on the beach, zumba on the beach and Plein Air Painting on the beach. And this was a perfect day for painting. 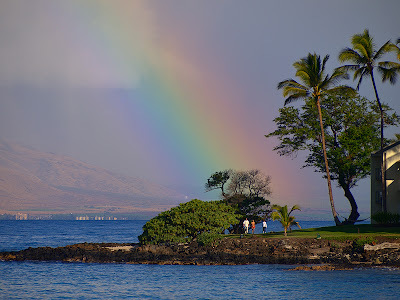 The blue sky was dotted with a few fluffy white clouds and a HUGE rainbow hugged the shore.